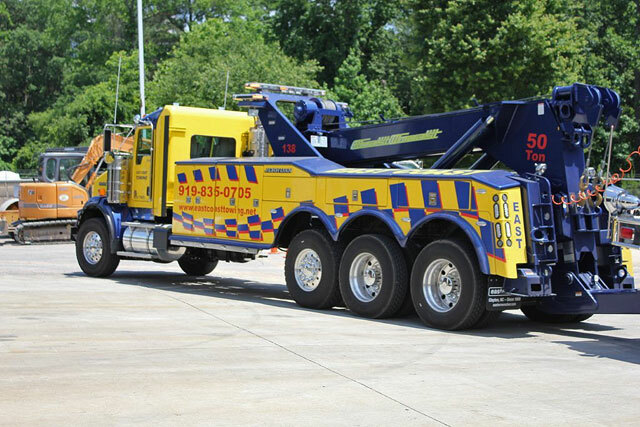 East Coast Towing service provides 24-hour heavy duty towing and big truck wrecker services in Raleigh and throughout the Triangle area. 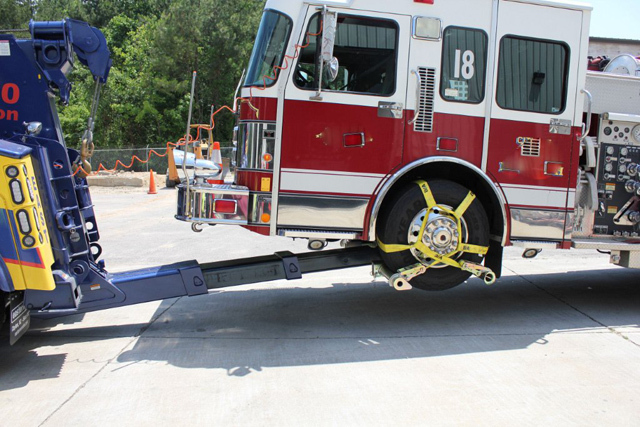 We offer complete accident, wrecker and off-road winching, upwriting and towing of heavy duty vehicles and ensure the safety and security of your big truck, trailer and cargo. East Coast Towing’s services include the retrieval and recovery of large semi-tractors, tour/city buses, coaches, tractor-trailers, RV’s, large fleet trucks, cube vans, bread trucks, single axle semi-tractors and storage units. We accommodate requirements up to 100,000 pounds with the exception of household goods. 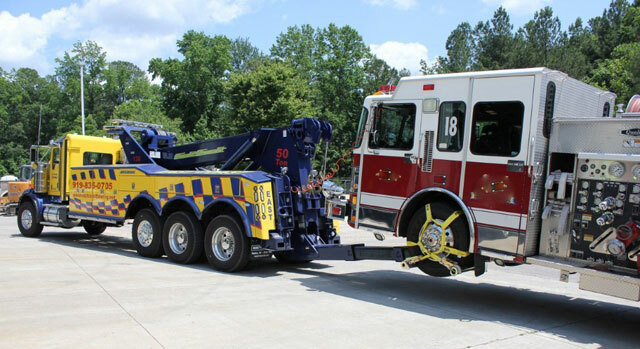 We feel that quantity should never exceed the quality of care that is given to your larger scale recovery and towing needs. Our direct dispatch service ensures we're on scene ASAP. Our goal is to safely secure and tow your vehicle to ensure no additional damage occurs. For more information on our heavy duty towing services, please contact us.